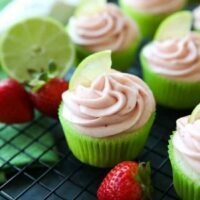 Strawberry Lime Cupcakes - Dessert Now, Dinner Later! 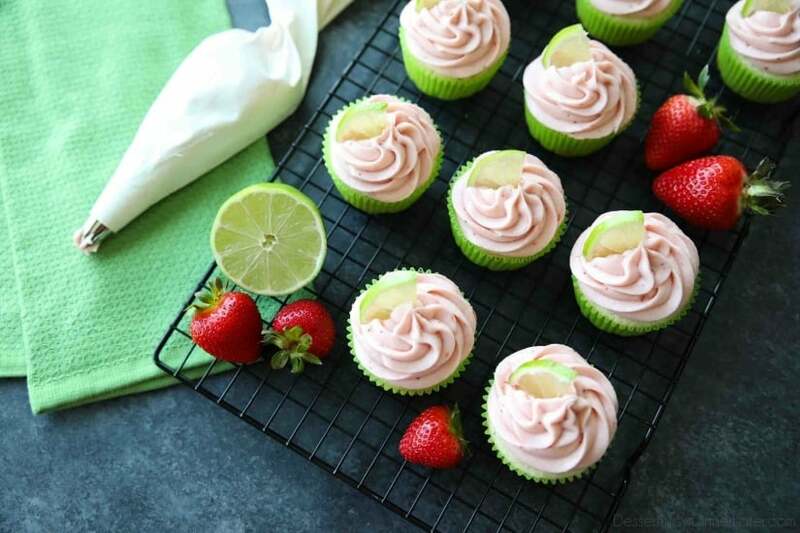 Strawberry Lime Cupcakes are perfect for summer, with a tangy lime cupcake base and sweet strawberry frosting they are sure to be loved by all. 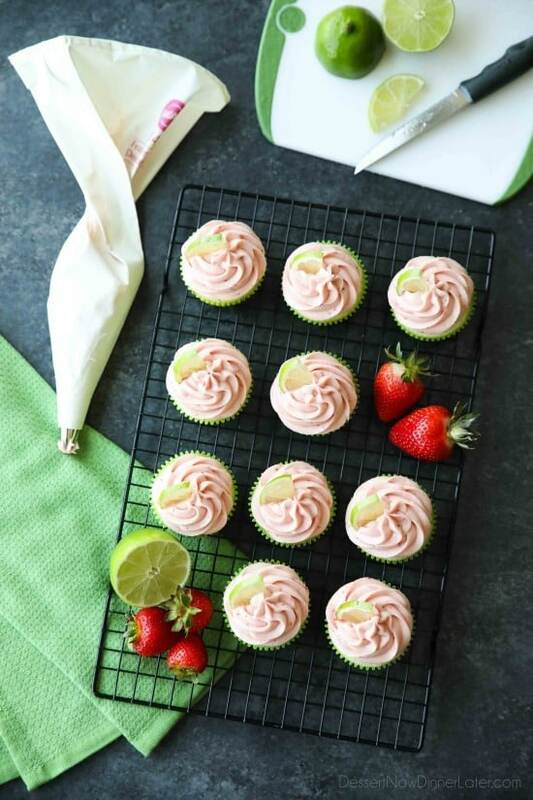 A family-friendly, non-alcoholic alternative to strawberry margarita cupcakes! I have all these bright colored cupcake wrappers that I hardly ever use, so I knew it was time to whip up another fun cupcake for the blog. 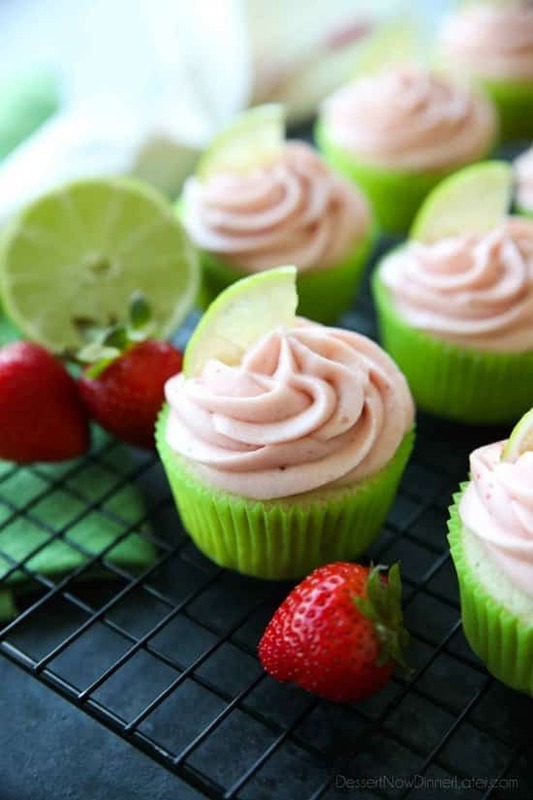 These Strawberry Lime Cupcakes are inspired by a strawberry limeade drink. 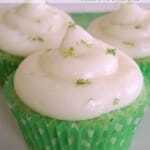 Drinks make great cupcake flavors! And if there’s one thing about summer, it’s that it’s hot and we get thirsty, right? Bring on the lemonades, limeades, and frozen drinks! 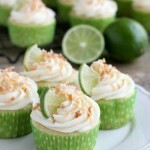 If you’ve been a reader of my blog for a while, you’d probably agree that it’s fair to say that I have a lime addiction. 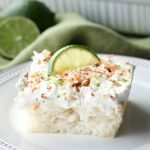 Lime makes the best desserts and drinks (and even dinners)! Pairing tangy limes with sweet strawberries was another great combo! Absolute perfection! Often times I will just doctor a cake mix for my cake and cupcake recipes, but today we are baking from scratch! Yay! 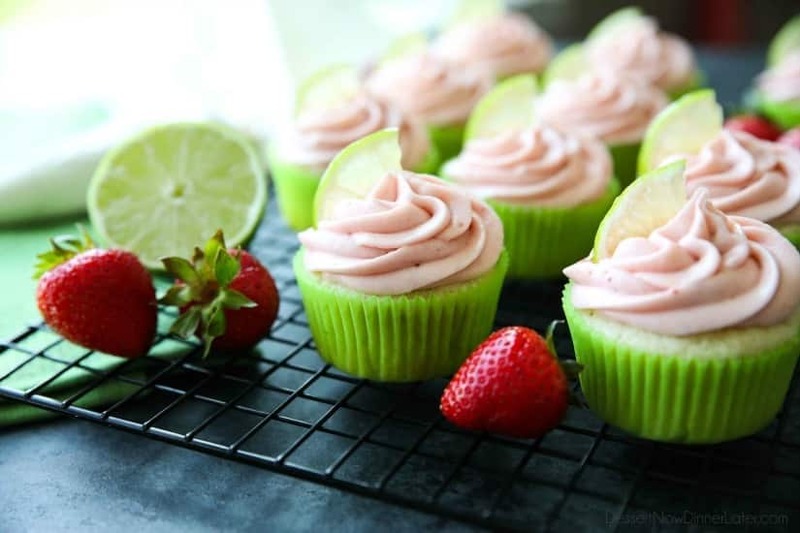 Enjoy these Strawberry Lime Cupcakes asap! In the bowl of a stand mixer, cream the butter and sugar together with the paddle attachment. Add the eggs one at a time. Mix thoroughly after each addition. Add the lime zest and juice. Combine. Bake at 400 degrees Fahrenheit for 13-15 minutes or until baked all the way through. Let cupcakes rest in pan for 10 minutes before transferring to a wire rack to cool. Make the frosting by beating the butter and strawberry preserves until smooth. Scraping the bowl as needed. Add the powdered sugar and salt. Mix until combined. Scoop frosting into a piping bag fitted with a large star tip (Wilton 2D or 1M). Pipe frosting onto cupcakes. 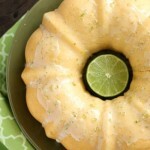 Top with a slice of lime or fresh strawberry for decoration. Enjoy! Store leftovers in an airtight container at room temperature up to 5 days.